Via Crucis (Stations) Crucifix ~SP~ 2 1/2 in. 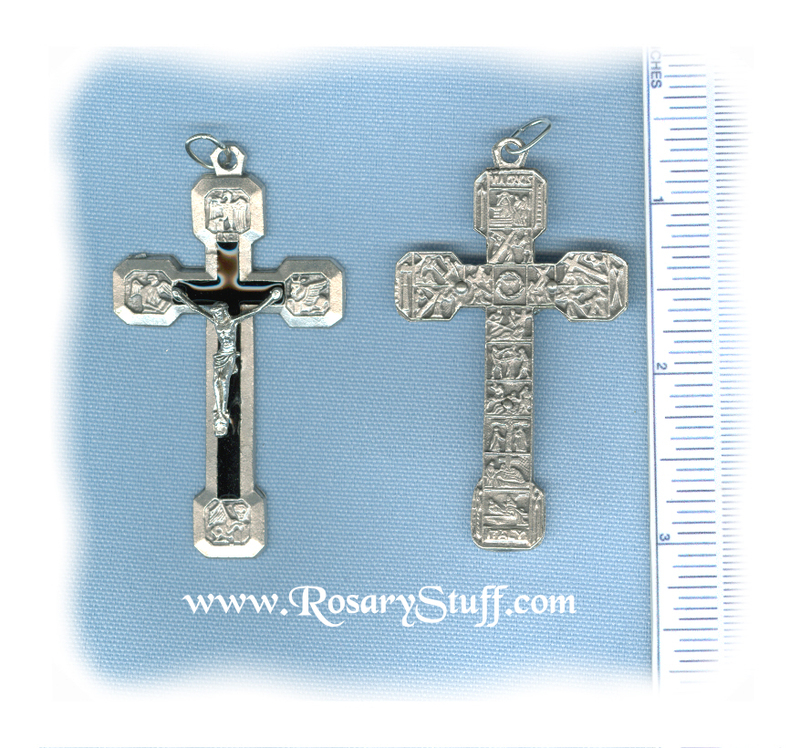 Italian oxidized silver plate Via Crucis Crucifix. Sized at 2 1/2 inches tall (including ring) and1 1/2 inches wide. Although a new version, this is still an extremely detailed crucifix with a black enamel inlaid section on the front. This version doesn't have a relic like before. The back of the crucifix shows all 14 stations of the cross along with many other important symbols (i.e. ladder, hammer, whip, etc). The front shows the symbols of the four gospels. It is really an amazing piece.